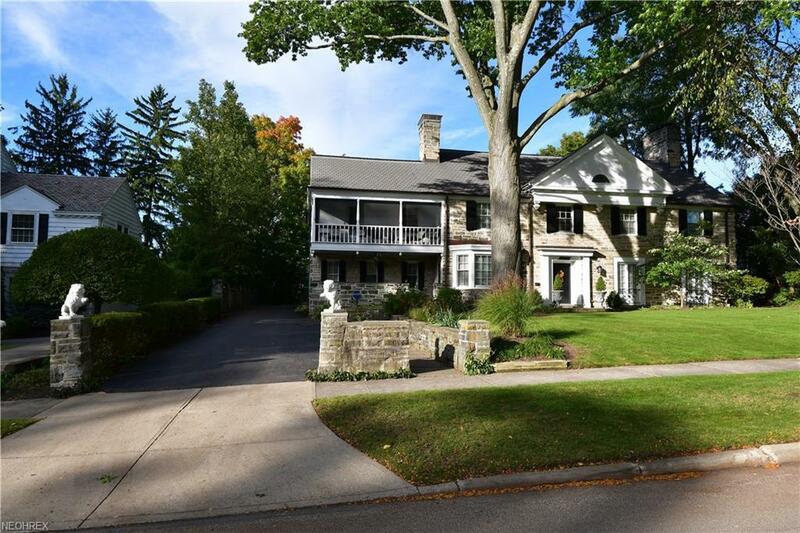 One of the most distinguished homes of Shaker Heights, this all stone Colonial Revival was designed by John Sherwood Kelly and is truly magnificent! This extraordinary home has a fabulous floor plan and extensive updates throughout including a gorgeous kitchen/family room! This amazing space has an open concept for todays living highlighted by a fabulous center-island white gourmet kitchen and an incredible family room area with fireplace, gorgeous built-in, and bar area! 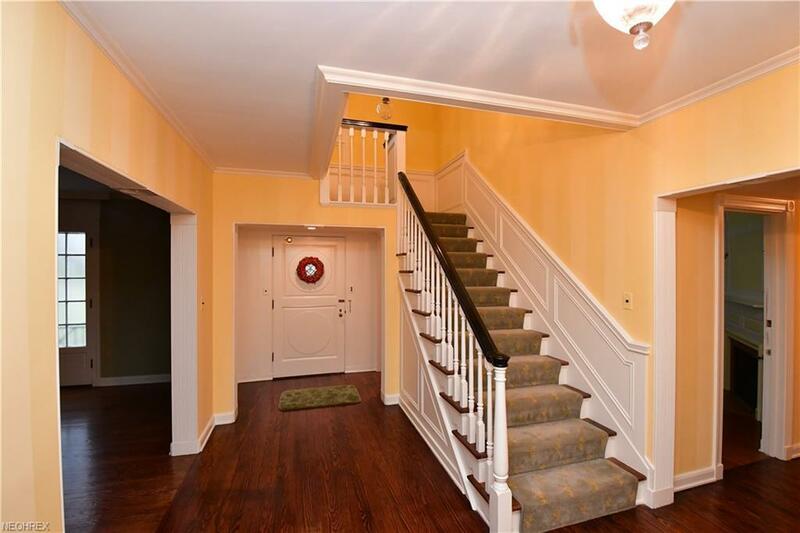 The gracious foyer with a reverse staircase sets the stage for this home and opens into the formal living room with floor to ceiling windows, fabulous built-in shelves, and a handsome fireplace. 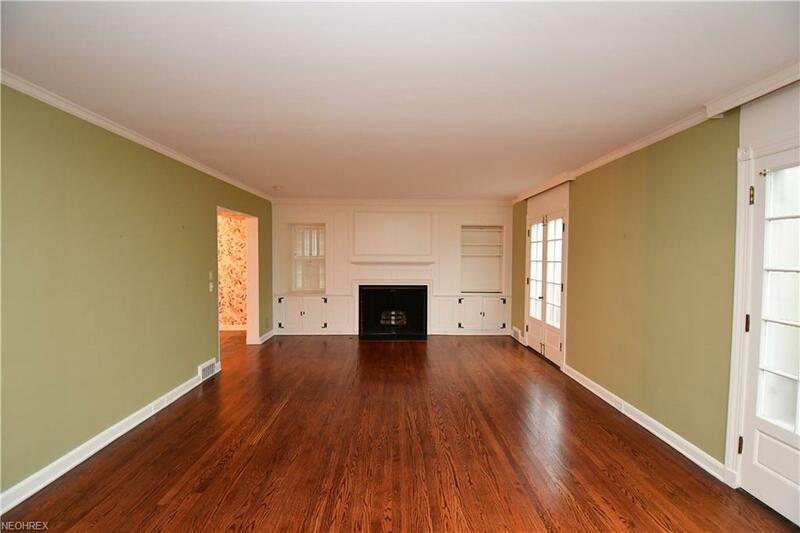 There is a gracious dining room with a slate floor, a charming library with a corner fireplace, and an expansive back hall mud room area! 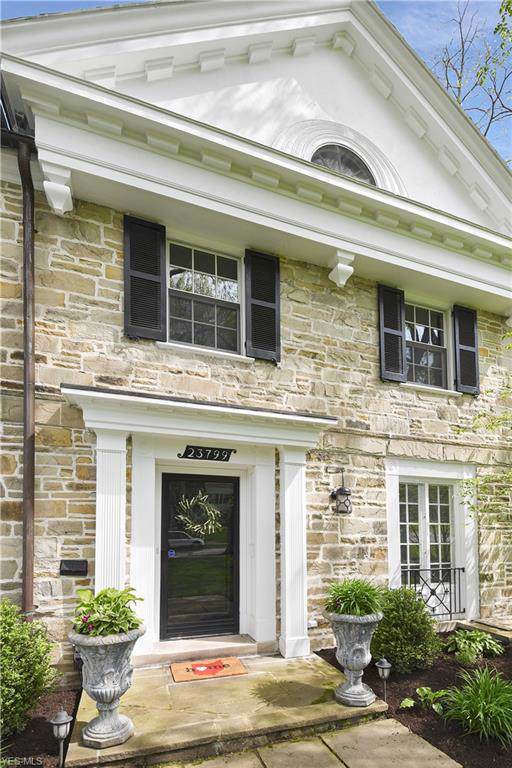 The second floor of this home has the most incredible master suite with his + her bathrooms, dressing rooms, and a gorgeous bedroom with fireplace. There are 4 additional bedrooms suites on second with two full baths and a finished third floor suite with an additional full bath! The incredible lower level has club room with a fireplace and wet bar, exercise room, and more! You will love spending summers on the stone terrace overlooking the magnificently landscaped back yard. This is a truly beautiful presentation and a remarkable home! !